In 2015 and 2016, I established reading and blogging goals for myself at the start of the year on my professional blog, Story Time Secrets. 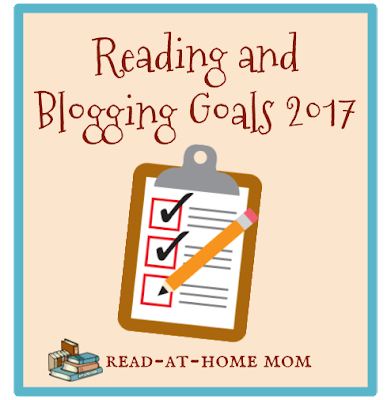 Now that I am primarily blogging as a mom and not as a librarian, I've decided to make a similar post for 2017 here at Read-at-Home Mom. I posted these goals on January 1st and then posted a mid-year check-in on July 1st. Here is my final assessment of how I did. Goal #2: Organize my social media content. I accomplished this goal, though not in the way I had originally imagined it. When I created the goal, I was thinking about using all of my social media outlets to promote my blog better. Instead, I ended up scaling back on blog promotion altogether and spending more time on Instagram. I really enjoying the book community on Instagram, and I have even started doing some book-themed challenges over there, so I'm pleased with how that turned out. Goal #3: Participate in more read-a-thons and challenges. 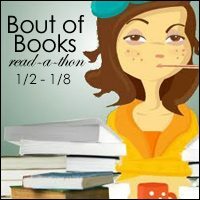 I didn't end up joining too many reading challenges, but I did participate in Bout of Books all three times, and I completed the A to Z Blogging Challenge in April. I also successfully completed Newbery Through the Decades, and I did Armchair BEA. I'll probably do most of these again, in addition to my own challenge, and the others I've posted about. I find that I enjoy reading toward a goal. Goal #4: Write a page of fiction five days a week. I abandoned this goal almost right away. As much as I want to be writing fiction, I have a chapter due every six weeks in the textbook for which I have an actual contract, and it's just not feasible to have another project going on simultaneously. I haven't given up on the idea of writing fiction in some form in the future, but it might need to wait for a season of life when I don't have children under four. Or at least when I'm finished with my current writing project. Goal #5: Relocate, rebrand and rename the blog. After deciding I was not going to do this for another year or so, the perfect name finally came to me, and I moved over here in September. Though this blog is not as popular overall as Story Time Secrets, I am much more comfortable with the relaxed pace and more personal approach I'm establishing here. This year's goals are a lot simpler, but hopefully they will help me find a sense of direction for this new blog and engage more fully with my readers and fellow bloggers. Goal #1: Host a successful reading challenge. 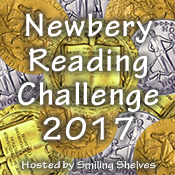 I have always wanted to host a reading challenge, but I was never sure others would participate. I'm very pleased by the response to the Old School Kid Lit Reading Challenge so far, and I have high hopes that I will not be doing it all alone. Goal #2: Connect more with the book blogging community. In the past, my frenzied attempts to read as many new books as possible resulted in a ton of posts, but not a lot of interaction with other book bloggers. Now that I have slowed my reading pace and started focusing on the books I really enjoy and want my children to enjoy, I find that I have more time to chat with other readers and bloggers. I've done some networking on Facebook and Instagram, but I want to be more intentional about it in 2017. Goal #3: Write more reflection posts. One of my hopes when I started this blog was that I would move away from strictly writing impersonal reviews of books and start writing more personal pieces about the role of reading in my life and in my family. I have started to keep a list of possible topics, and I hope I will have the time - and the guts! - one of these days to begin writing them up to post here. Goal #4: Complete my reading challenges. I listed all the challenges I am doing in an earlier post. This goal is mainly on the list so I will have somewhere to sum up all my progress at mid-year, and at the end of next December. Goal #5: Read only the books I want to read. For a long time, I have forced myself to finish books whether I like them or not. When I switched blogs, however, and stopped reviewing ARCs, I realized just how much time I was spending reading mediocre books out of a sense of obligation. I have started a did-not-finish shelf on Goodreads, and there are a few things there, but I still feel guilty about it. Hopefully, as the year goes on, I will feel less regretful about reading two chapters and deciding a book isn't for me. What are your reading goals for the new year? Share in comments! This month, we mostly read Christmas books, which you can read all about in my four Advent reading round-ups. Here's some more commentary on our December reading habits. Little Bo Peep is just about 15 months and she is beginning to talk. A recent exchange went as follows: Me: "Do you want Mama to read to you?" Bo Peep: "No, NO!" She has been pretty consistent about this aversion to hearing read-alouds over the past few weeks, though she will occasionally allow a read-aloud at naptime. 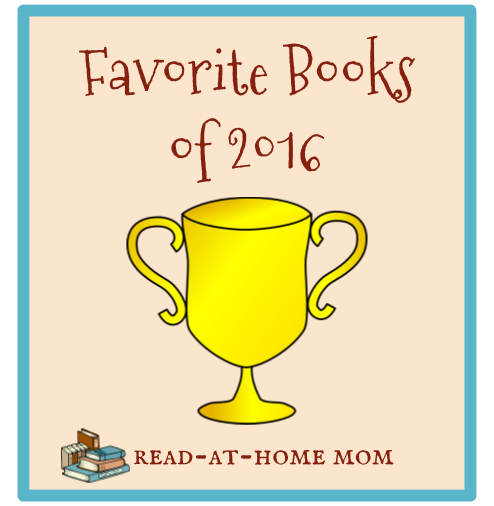 Recent favorites have included Beddy-Bye, Baby by Karen Katz and Alphaprints Colors. She is also always present for our bedtime read-aloud, but she typically spends that time trying to poke her sister in the eye and stealing her stuffed animals. In going through cabinets looking for hidden Christmas treasures, I came upon an animal board book my mother bought for Miss Muffet (age 3): Alligator to Zebra ABCs. It has a lot of obscure animals in it, and Miss Muffet has enjoyed learning their names and attempting to teach them to Bo Peep. Each page poses a question to encourage interaction, and the full alphabet appears across the bottom of each spread so that you can always see where the current letter falls in the line-up. Miss Muffet has seemed especially fascinated by the Komodo dragon. We realized when we were putting together our Christmas stuff that we didn't get either of the children a book for Christmas this year. We have so many books that they are by no means deprived, but it does feel wrong for librarians not to give any books at all to their own daughters! Thankfully, though, there were a couple of books under the tree courtesy of Grandma. Miss Muffet received Secrets of Winter, which is a "shine-a-light book" where different designs are hidden in the pictures and must be revealed by holding a flashlight behind the page. (Grandma also provided flashlights.) Bo Peep received the board book edition of Dream Animals by Emily Winfield Martin, which she loved and carried around most of Christmas Day. We also received a book for review this month: Disney-Hyperion sent I Love My Grandma by Giles Andreae and Emma Dodd. 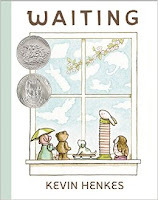 We are big Emma Dodd fans, and the artwork did not disappoint, but the rhyming text is pretty clunky, and after two readings, I was pretty tired of reading it aloud. At the end of the book, which is about a boy and his grandmother and the things they like to do together, I asked Miss Muffet if her grandma is like the one in the story. Immediately, she said, "No, my grandma has a ponytail. And she doesn't sigh." These details are very important to the three-year-old mind. Finally, I just want to mention that Miss Muffet has started drawing actual shapes (mostly squares) and writing actual letters (mostly U, V, and W). When she tells us about her drawings, I can often notice influences of the books we've been reading in the drawing itself and in the story she tells about it. (We've had a lot of sleighs on rooftops with stars this week.) I think 2017 is going to be an exciting year for her literacy skills and I look forward to documenting it here! When Susan Shaw disappears suddenly one afternoon, her father and others in her apartment building fear that she has been kidnapped. In reality, though, Susan has ridden the elevator to the top floor and slipped through a time warp that has transported her back to 1881. There she meets Victoria and Robert, a pair of siblings who are concerned about a smooth-talking gold digger who is after their widowed mother's money - and her hand in marriage. When Susan strategizes to help them scare the suitor away, her own fate becomes magically wrapped up with theirs in a way that will eventually alter history. I think I was a little bit unfair to this book as I was reading it because I could not stop comparing it to the brilliant novel that is Tom's Midnight Garden. 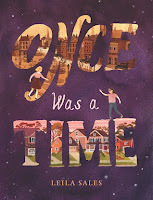 The comparison is virtually unavoidable, since both books are time slip stories where ordinary kids step into other eras by simply exploring different parts of their own homes, but it still felt like I was constantly thinking, "This isn't how Philippa Pearce would handle this." Time at the Top simply isn't as emotional as Tom's Midnight Garden. The story is told in the voice of the author, who has purportedly heard Susan's story secondhand from their mutual neighbors, and who is one of the few who believes wholeheartedly in what eventually happens to Susan. The story is written more like a report than a reflection on an experience, which makes it more difficult to empathize with the characters. 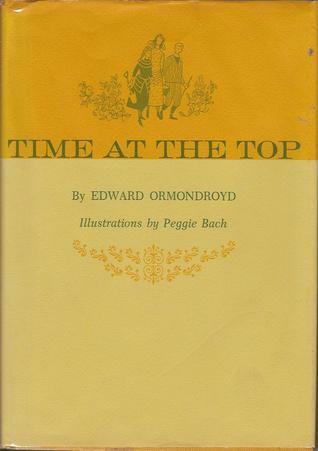 That said, if I don't compare the two books, Time at the Top is an interesting novel on its own. I like that the entire story is told in the first couple of chapters from the logical, reality-based point of view of Susan's father and other adults, and then retold in detail from Susan's perspective in the remaining chapters. I also like the ending. Susan has an idea which is not entirely unpredictable, but it is thoroughly surprising that she is able to pull off what she plans. I wasn't sure I liked the ending at first because it is told in Ormondroyd's voice as the narrator, and we don't get to find out Susan's feelings at the final moments of the story, but then I found out there is a sequel (All in Good Time), and I realized the ending really is one heck of a good set-up for a follow-up story. I only hope I can find a copy of that second book! Time at the Top is the exact kind of fantasy novel I tolerate best. There isn't a complicated explanation of how the magic (in this case, time travel) works, but it's not so vague that I was constantly distracted or confused. I always felt that I could completely believe in what was happening, and that Susan, despite many obstacles, would eventually come out okay. A really enjoyable and quick read appropriate for all ages. I read more than 650 books this year. As I went through my Goodreads shelves seeking the books I loved best for tomorrow's blog post, I came upon many 1-star and 2-star reviews that I wrote, criticizing various books that I either borrowed from the library or downloaded via NetGalley or Edelweiss. I noticed some interesting trends in my comments about these books that I so thoroughly disliked and wrote them up for today's post. 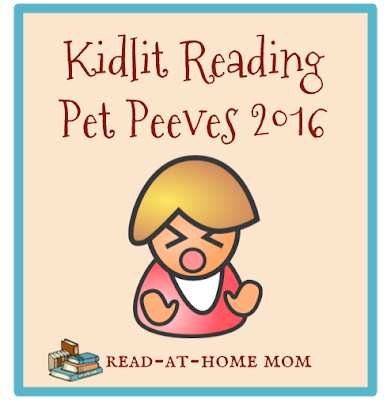 Here are some of the most common complaints I had about books I read in 2016. I realize that finding humor in using the bathroom is part of a developmental phase all kids pass through. 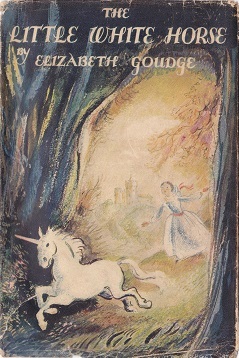 What I can't stand are adults who write children's books prolonging this phase by indulging it and even celebrating it. Books containing bathroom jokes send the message that toilet humor is funny and acceptable, and they demean children's literature as a whole, confirming the stereotype that kids' books are not serious literature. If there is a joke about pee, poop, butts, or the like in a children's book, and I know about it ahead of time, my children never see that book. Writers should want to do better. Owls who sleep at night. This is not a new complaint this year. Bad rhyme is my number one pet peeve in children's books, song lyrics, rhyming poetry, and anywhere else rhyme may occur. The purpose of reading rhyming books to children, aside from entertainment, of course, is to teach them how to hear rhyme themselves. It's impossible for children to hear this in a text where words are chosen simply because they rhyme, and not because they are the best words for the story, or where imperfect rhymes are used more frequently than perfect ones. I don't think there is any excuse for publishing a poorly written rhyming book. Authors either need to master rhyme like Margaret Mahy and Virginia Kahl have done, or stick to prose. Too much like an existing book. It is true that there are only so many plots authors can use, and there are going to be lots of repeats. But when an author writes a book in 2016 that sounds almost exactly like a book from 50 years before, it makes me think someone involved with the publication of that book just doesn't know his or her children's literature that well. Also annoying are books that try to imitate the style of recent award-winners and best-sellers. Surely there must be authors writing today who have original ideas; I'd like to see them get published. Illustrator is a poor writer. I read somewhere that there is a growing push for picture book creators to both write and illustrate their books. Unfortunately, it seems that many talented illustrators really do not have much of a way with words. There have been several books this year with beautiful artwork and truly terrible texts. In every instance, my review said something like, "I wish this illustrator would do the pictures for a book written by someone else." Writing and illustrating require two very different skill sets. I think it's silly to expect any one person to have equal talent in both areas. Some do, and it works for them, but those who don't should be working on projects that use their strengths. Another thing that drives me up the wall are books with glaring inaccuracies about world religions - and specifically about Catholicism/Christianity. You can easily Google to find out what a specific religion teaches, or speak to someone who practices that religion. There is absolutely no excuse for an author getting a fundamental belief or practice wrong in a book. The only reasons that happens are laziness or a willful ignorance of inconvenient facts that do not fit the book's worldview. 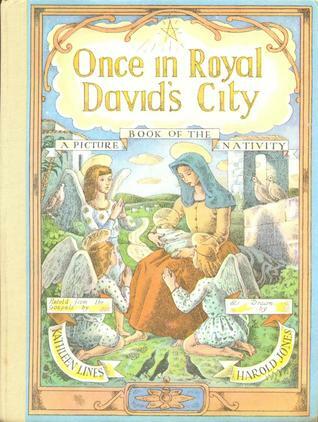 This year I also read a picture book version of a Bible story which had removed all references to God, and that was totally baffling. Allegedly humorous, but does not make me laugh. I am not someone who laughs very much at kids' books, so this is a very subjective complaint, but I would think that a book that is marketed as hilarious, or praised for making kids laugh out loud would at least cause someone in my family to crack a smile. I'm aware that my sense of humor is not necessarily in line with the mainstream (see above re: toilet humor), but to have so many truly silly and lame books labeled as funny and to have all of them fall flat is about more than just me being weird. I am tired of books that try to teach me and my children How to be Good People. This is partly because the messages tend to be very political in nature, but it's also because children don't like preachy stories. As a parent reading with a young child, it is my role to guide conversations about various fictional situations in a direction that helps with my kids' moral development. I don't need the book to do this for me. 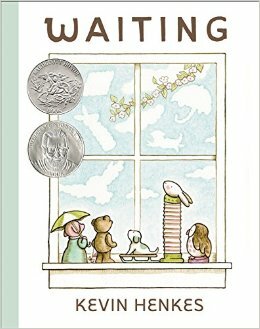 I can't tell if authors don't trust adults who read to kids to have the "right" conversations with their kids, or if publishers just aren't weeding out these books like they used to, but it seemed like there were a lot of Very Special Stories this year that made my eyes roll nearly all the way back into my head. Despite these complaints, there were actually lots of books I liked this year! Check back tomorrow, and I'll have the whole list. 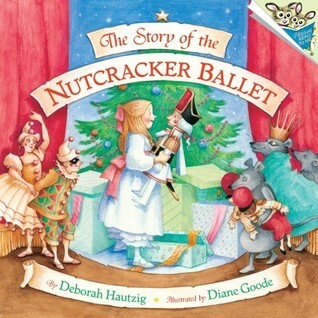 I had this book as a child, back when my elementary school chorus did a singable production of the Nutcracker, but had not thought of it at all in over 20 years until I saw a post about it on Instagram. Because Miss Muffet has been very interested in the story of The Nutcracker this year, and because of my own nostalgia, I put it on hold at the library right away. I've read it with Miss Muffet a couple of times, but she has also enjoyed listening to the ballet and looking through the book on her own. 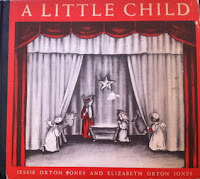 Its text and illustrations are both very preschool-friendly and much more cheerful than a lot of other adaptations. I find the rhyme in this book tedious to read aloud, but Miss Muffet has been requesting multiple readings, so I've had to deal with it. 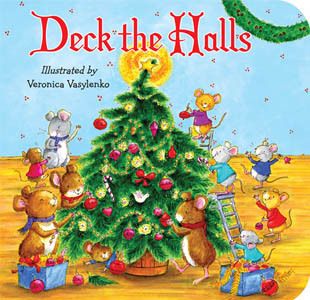 In the story, Mr. Willowby orders a Christmas tree which is too tall for his parlor. When he cuts off the top of the tree, it is given to his maid. 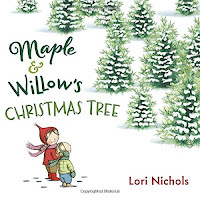 This smaller portion of the tree is also too tall for the place she has prepared for it, so she cuts off the top, too, and someone else picks it up, setting into a motion a long chain of treetops being removed and recycled. At the end of the book, when the chain finally comes to a happy conclusion, I asked Miss Muffet, who sighed contentedly, what she liked about the book. She said, "They finally stopped cutting off the top!" Evidently, she found this troubling. 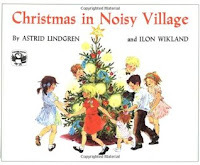 This is not a chapter book like others in the series, but a little slice of life picture book about how the families of Noisy Village get ready for Christmas.We read it at bedtime, and Miss Muffet was completely silent the entire time, which is usually a sign of a good story. She wanted to look at the book again the next morning, and asked me if I could name all the kids in the first illustration. Then she wanted me to find the baby, Kerstin, on every page on which she appeared. I am starting to put some of the books away at this point, but I think we'll keep this one around until the end of the twelve days of Christmas. My husband has a stuffed animal of Arthur, Babar's cousin, that has been around since he was a kid. Arthur has sort of become a mascot of our family, and we all enjoy looking for him in the Babar books. 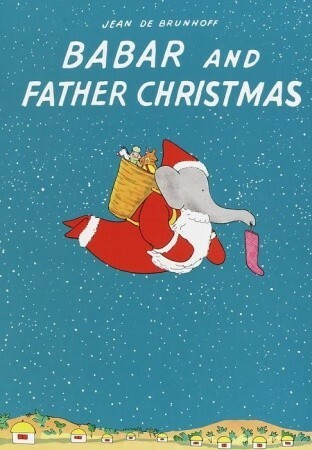 In this story, Arthur, Pom, Flora, and Alexander are dismayed that Father Christmas never visits the world of elephants, so they send him a letter asking him to come. When they don't get a response, Babar sets out on a quest to find him and discuss the situation face-to-face. 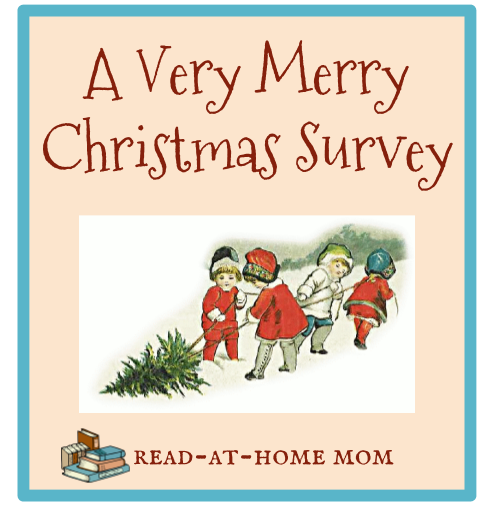 This book is really, really long but Miss Muffet's familiarity with the characters and fascination with Santa Claus seemed to help keep her focused. When we brought out our creche, I also brought out this book which tells the story of Jesus's birth and childhood using various Bible passages. 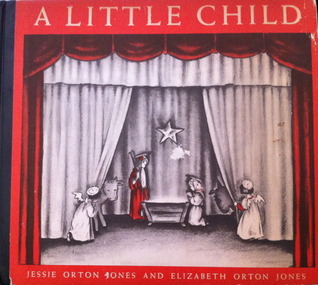 The illustrations portray a group of children acting out a play based on the text. It does include the Protestant version of the Our Father, which I read as it was printed, and Miss Muffet seemed a little puzzled by the debts and debtors, but otherwise, there was nothing in it that doesn't match the Catholic teachings about Christmas. The only real drawback is that the book is so old, I can't allow Miss Muffet to touch it because it would most likely disintegrate in her hands. 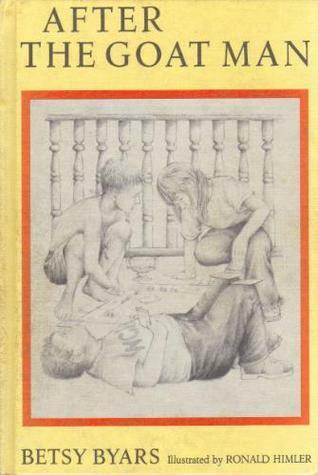 I remember reading this book as a child after I already knew how to read independently. I suspected Miss Muffet was a bit young to get the full impact of the story, but I tried it anyway, and it went okay. She missed the fact that there were two cats - the mother, and the kitten - which distracted her from the overall significance of the story, but she listened attentively and seemed interested. I think she will get more out of it as we read it each year. A conversation with my mom the other night revealed that she had sent this book to us and we had never opened it. So we opened it last night and both girls took an immediate linking to it. 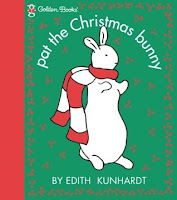 Bo Peep is a little bit confused by the difference between touch-and-feel books and scratch-and-sniff books, so she kept trying to sniff the bunny and the wool stocking and pat the candy cane. Miss Muffet became immediately interested in pretending to write her letter to Santa and pulling the toboggan down the hill. This is one of the few books we've read that I think they have both enjoyed equally. 7 Quick Takes is hosted every week by This Ain't the Lyceum. In this busy week counting down to Christmas, I thought it would be fun to do this Christmas survey. I first saw it at Mom's Radius, who found it at Rebel Mommy Book Blog, who linked back to its creator at Lindsay's Library. Favorite Christmas song(s): In the realm of extremely cheesy secular songs, I have always liked Because It's Christmas by Barry Manilow, Grown-Up Christmas List by Amy Grant, and Have Yourself a Merry Little Christmas. In the religious carols category, my favorites are God Rest Ye Merry Gentlemen, I Heard the Bells on Christmas Day, Oh Holy Night, Il Est Ne Le Divin Enfant, Angels We Have Heard on High, and O Come All Ye Faithful. Favorite Christmas movie(s): I love A Christmas Story. When I had TV, I used to watch it at least twice during the TBS marathon each year. I don't always watch it every year anymore, but we quote favorite lines around the house all year long, especially "Bumpuses!" and "A bowling ball" and "You look like a pink nightmare." I also have fond memories of watching Home Alone on TV with my sister on Thanksgiving night to kick off the holiday season. Rudolph, Frosty, the Grinch or Charlie Brown? Charlie Brown. It's the only one that reflects on the true religious meaning of Christmas, and I love the music. Best and/or most memorable Christmas gift you ever received: One year (1990, maybe?) my parents swore up and down for months that there was no way they would allow us to have Nintendo. We had resigned ourselves to the fact that we would just never have it, and then on Christmas morning, there it was under the tree. And actually, my parents wound up playing it as much as we did! There was also the year that everyone bought each other the same electric knife. As a kid, I remember thinking that was just so unbelievable. Real tree or artificial tree? I always had a real tree as a kid, and I was always sick on Christmas because I'm allergic to pine. I never wanted to switch to an artificial tree back then, but as an adult, I decided I wanted a fighting chance of not being sick and we bought a pre-lit artificial tree when we got married. And considering I haven't been sick on Christmas ever since, I don't think I would go back to a real one. What tops your tree? Star? Angel? Bow? We have a colorful light-up tree topper. The shape is round-ish - not quite a circle, but definitely not a star. Do you send out Christmas cards? Do you go photo card or traditional? Now that we have kids, we send photo cards, since most of our friends and family don't live nearby, and we want them to see the girls. When did you stop believing in Santa? I was around ten, and my mom had to sit me down and tell me. I suppose I had some inkling deep down, but it threw me for a total loop, partly because she told me in the summer when I wasn't yet thinking about Christmas, and partly because I had believed for so long and really wanted to believe. But I'm thankful my parents didn't let me go to middle school still believing in Santa. I had enough social problems during those years! 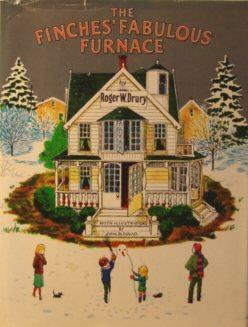 Do you have any special Christmastime traditions? We are still building our traditions with the girls. This was our second year having a Jesse tree, and that has gone well, so I expect that will turn into a yearly tradition. We have also tried to read one Christmas book every day of Advent, which is something I want to continue and that I hope will get easier to maintain as the kids get older. Do you have a favorite type of decoration -- snowmen, trees, Christmas village, etc.? I have a few pieces of a village, but no space to put it up. I keep saying that when I'm an old lady I will have a huge village that will just take over my entire house, but I think that probably sounds more fun than it actually is. My grandma always had a village when I was a kid, though, and I was obsessed with it. I think I mostly liked the idea of making up little stories about the people who might live in it. I also really like blinking lights, even though we don't have any. White lights or colored lights? Big old-fashioned lights or mini lights? I have always preferred colored lights for the tree (we don't decorate outdoors.) I like the look of the big old-fashioned ones, but so far, we have always had minis. When do you start decorating for Christmas? When we first got married, we decorated on Thanksgiving, but now we have a daughter with a birthday around that time, so we push it back until somewhere in the first couple of weeks of December. This year, the tree went up on December 8 but the creche didn't come out until the 20th. Do you like sugar cookies? Gingerbread cookies? Of the two, I prefer sugar cookies, but I could live happily without both. Do you have cocoa or hot chocolate? Do you like your warm chocolate-y beverage with marshmallows? I like hot chocolate with marshmallows. What do you eat at your Christmas feast? Roast beef and yorkshire pudding. Do you open any presents on Christmas Eve or do you wait until Christmas morning? We wait. In my mind, opening on Christmas Eve is cheating! I didn't have good answers for Lindsay's final two questions, so I'm omitting those adding one of my own. Favorite Christmas books: Since I was in high school, I have tried to read at least part of The Unlikely Romance of Kate Bjorkman by Louise Plummer every year at Christmas. It's a teen romance novel, but it's well-written and smart and funny, and it just makes me feel festive. 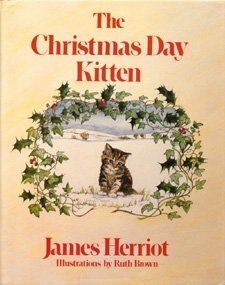 I also love The Christmas Day Kitten by James Herriot, which is a picture book but can be enjoyed at any age, and The True Meaning of Christmas by Anne Fine, a middle grade novel which deals with family dysfunction in a hilarious way. 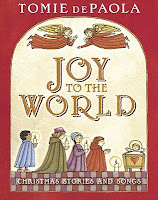 I've also always loved the selections included in the Believe Christmas Treasury by Mary Engelbreit. The construction of a new highway in their West Virginia town has forced Figgy and his grandfather to move from their mountain home to a different house closer to town. As he explores his new neighborhood, Figgy meets Ada and Harold, who are best friends. Ada has recently been through the loss of her mother, and Harold struggles with his love for food, which causes problems with his weight. After hearing on the news that Figgy's grandfather, The Goat Man, has returned to his old house to attempt to prevent its demolition, the three kids band together to venture into the mountain and convince the old man to come home. I purchased After the Goat Man from a used book sale based solely on my complete faith in the writing abilities of Betsy Byars. As typically happens with a Byars novel, I felt immediate deep affection for her characters, and I read the entire book cover-to-cover in about an hour. Though the story takes on a major issue - the difficulties of accepting modern progress - it does so on a very small, relatable scale. 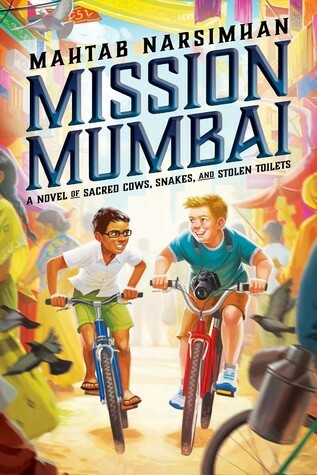 Byars sets her tale within the lives of these three children, using such ordinary events as a Monopoly game, a spot on the TV news, a bike ride, and an accident as the key plot points which propel the story. She helps young readers to care about The Goat Man not by trying to make his gruff character more palatable, but instead by establishing his importance to Figgy and his friends. Byars also never tells the reader what to think about the new highway; she paints a picture of the situation and allows readers to draw their own conclusions. 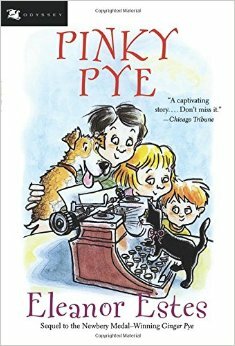 Byars trusts young readers to understand complex issues, and this is what makes her such a talented and appealing writer for kids, even today. After the Goat Man is an excellent study in friendship, family, community, and hardship, and though it doesn't tie everything up neatly (Byars is not one for perfectly tidy endings), its conclusion feels hopeful and satisfying. I am just never disappointed by anything she writes, and this was book was no exception. 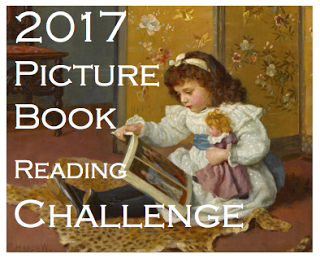 This year, in addition to hosting my own challenge (The Old School Kidlit Reading Challenge, details here! 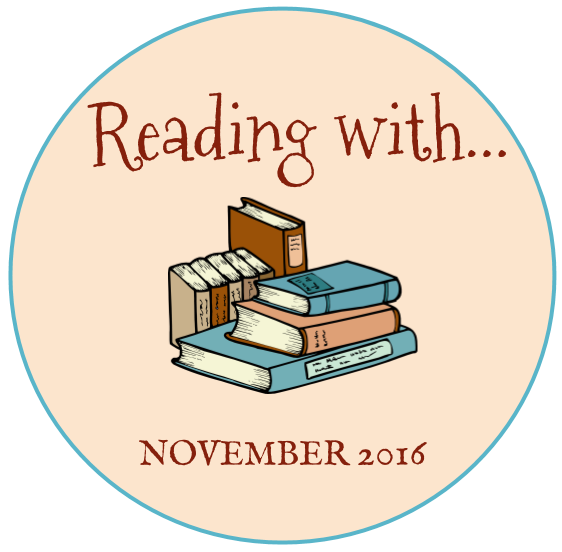 ), I'm also going to participate in a few different challenges to help me organize and focus my reading throughout the year. The first two are challenges for adult books. 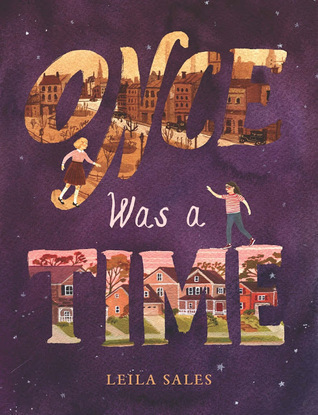 I have always been a children's book blogger, and that's not going to change, but after I stopped reviewing new children's books this fall, I realized how much I missed reading the occasional book about characters closer to my own age. I started reading cozy mysteries over the summer, and wound up buying a bunch of paperbacks that have taken over my nightstand. Then I discovered a couple of contemporary romance authors, and now my to-read list is ten miles long for those, too. I know there is no way I will get around to reading all of them unless I intentionally carve out the time, so I tracked down a couple of challenges that I think will be manageable. In terms of kidlit, I'm trying to focus mainly on older books, so I have a couple of challenges in mind to help me do that. I expect the two Newbery challenges to overlap quite a bit with each other and with my Old School Kidlit challenge, but I'm also hoping the goals for each will get me to read more overall. The Picture Book challenge is really just to help me keep better track of the books I'm reading with the girls. My record-keeping got a little iffy this past year. It's also fun to have categories in mind when I'm browsing the library shelves and/or searching the catalog to place holds. And there are a ton of picture books in my house that I also have not read. Goal: From January to October, this challenge assigns a different decade to each month. Goal is to read Newbery winners and honors from that decade and link up at the end of the month. Goal: Minimum of six books. I'm going to try to complete the entire checklist. At Mass last Sunday, Miss Muffet was really excited about the pink candle being lit, so when it burned out inexplicably almost right away, she was really disappointed. And this burned out candle turned out to be a perfect metaphor for our week of reading. 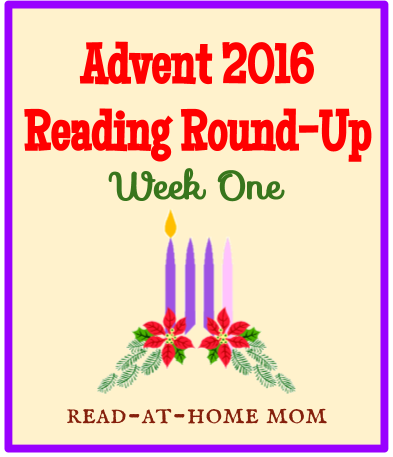 We fell four days behind on our Jesse tree, failed to read books I had specifically set aside for the feasts of Our Lady of Guadalupe and St. Lucia, and on one day, we didn't read any Christmas books at all. But we made up for it as the week went on, and we did read quite a few titles. Here are the highlights. Last weekend, we took the girls to a Living Nativity. 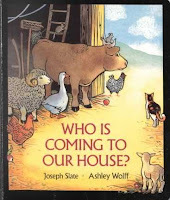 Before we left the house, we read this book so that Miss Muffet would have some context for what she was about to see. It wound up being the perfect choice, as the language in the book was identical in many places to what was read at the Living Nativity. We will read this book again during the twelve days of Christmas. The day after the Living Nativity, we used flannel board pieces and stickers to retell the nativity story. To help Miss Muffet remember the story, we read this shorter version taken verbatim from the Bible. I had never read this story before, so I didn't realize the connection to Our Lady of Guadalupe until I saw a post about it on Instagram after the children had gone to sleep for the night on Monday. We read it the next day instead. I wasn't sure Miss Muffet would follow the story, but it was told in such a straightforward and clear style that she did actually seem to absorb most of it, and she reacted with appropriate surprise to the miraculous ending. I checked this book out of the library because I had never seen it before, but I don't think we will ever borrow it again. The Little Mouse, The Red Ripe Strawberry and the Big Hungry Bear is such a great book precisely because the reader is not 100 percent certain there actually is a Big Hungry Bear. To have this sequel all but show us the bear just cheapens the entire concept. (The Woods should just not do sequels. Full Moon at the Napping House was also a big flop.) Unfortunately, Miss Muffet likes it and I have been asked to read it several times. 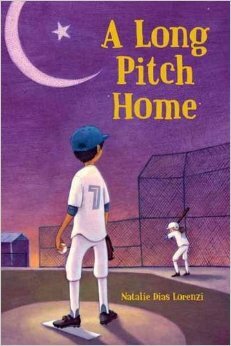 I borrowed this as a potential story time title, but found that it was too wordy for my audience, so we just wound up reading it at home. It follows the story of Wilma, a farmer, and her neighbor, a boy named Parker, who works for five years toward the goal of selling Christmas trees. 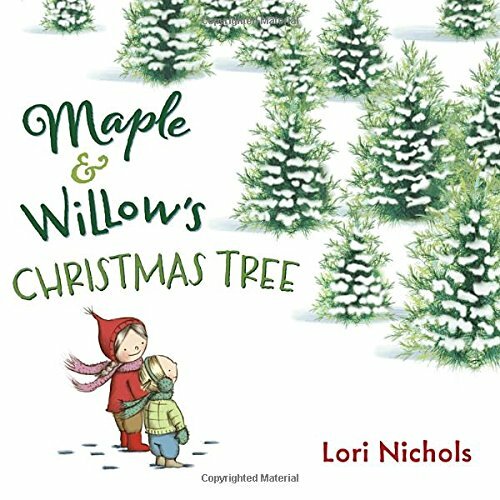 As Parker grows from five to ten years old, so do the trees, and the reader is able to understand in a child's terms just how much work and patience are required to make it possible for people to go out and cut down trees at Christmastime. I loved the story, and the pictures, and Miss Muffet was mesmerized by the entire book. I might actually like to own this one. 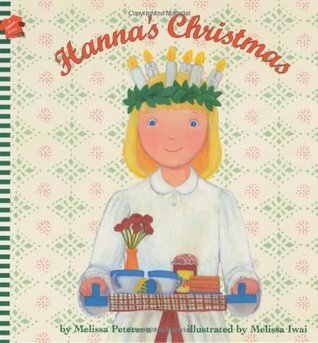 Though I knew Tuesday was St. Lucia Day, I forgot we owned this book and didn't get to read it until this morning. Miss Muffet seemed a little worried about the tomten ("Why isn't he happy?") but she was interested in the idea of wearing a crown. She also has a friend named Lucia, so she liked making that real-life connection. Thanks again to Instagram, I learned that Las Posadas starts today, and I read this story to Miss Muffet this morning as well. I'm a little uncomfortable with the fact that this is a fabricated miracle involving Mary and Joseph, as I'm not sure how much fictionalizing we should do of saints who do occasionally appear to people, but the ending did strike a very nice emotional chord for me. Miss Muffet also understood right away what had happened, which was a nice surprise. The Finches' Fabulous Furnace is a quirky story about a family with an unusual secret. Their new home is heated not by a furnace, but by an active volcano. Knowing how their neighbors would react to the knowledge that the volcano beneath their home may someday erupt and destroy their town, the family does its best to hide the truth and fend off rumors about their heating system. This proves difficult, however, when obvious signs of volcano activity begin to appear around the house. 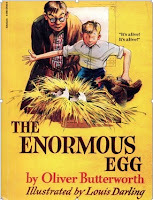 Like The Enormous Egg, this book takes an utterly implausible situation and makes it completely believable. Though it is ridiculous to think of a home in upstate New York housing a volcano in its basement, the way the situation is explained within the context of the story makes perfect sense. The family does not come to life quite as strongly as many other families I have read about in vintage kids' books, but the town overall does develop a personality as the book goes on, and there are a lot of humorous moments where the Finches make ridiculous excuses to hide the strangeness of what goes on in their basement. 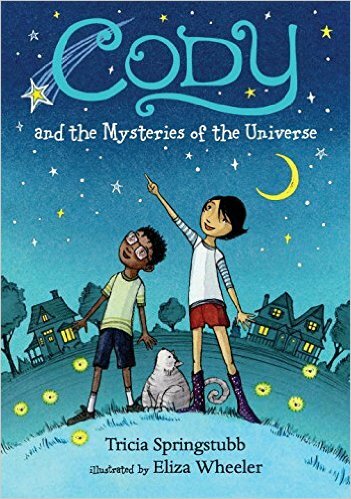 This is a clever and light-hearted story, and the odd premise and surprise ending will appeal to a broad range of ages, including adults. It would make a great read-aloud for a snow day, as well as a perfect fictional tie-in for scientific lessons on volcanoes. 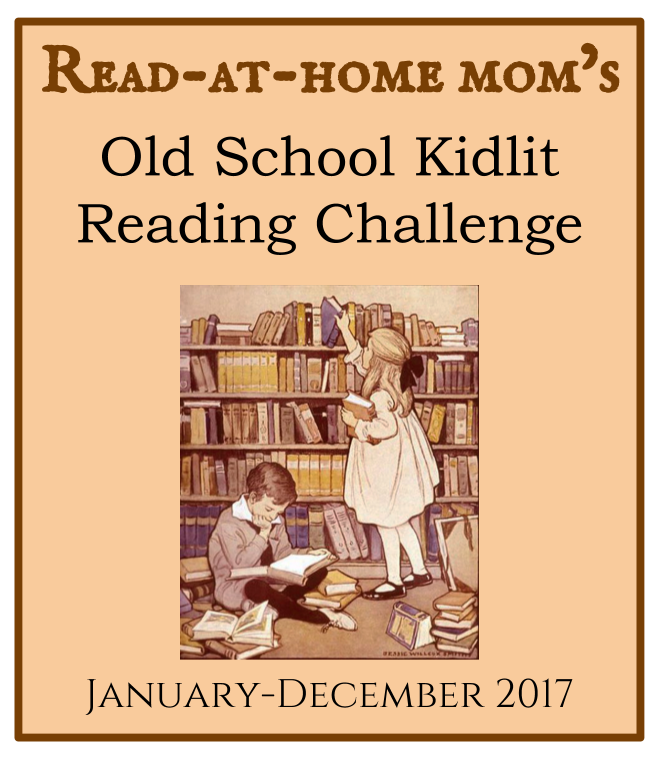 Announcing the Old School Kidlit Reading Challenge! I am hosting the Old School Kidlit Reading Challenge to encourage bloggers and other kidlit enthusiasts (including myself) to read and review more children's books of the past. In general, a book will be considered "old school" if it was published in the decade of your birth or before. To help me gauge the level of interest in this challenge, please sign up by commenting below with your name and a link to your blog or other review site. Signing up does not commit you to any particular level of participation. You are free to post every month, or to jump in and out as suits your schedule and reading interests. 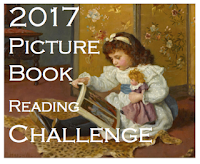 If you post about the challenge on Twitter or Instagram, use the hashtag #oldschoolkidlit2017. 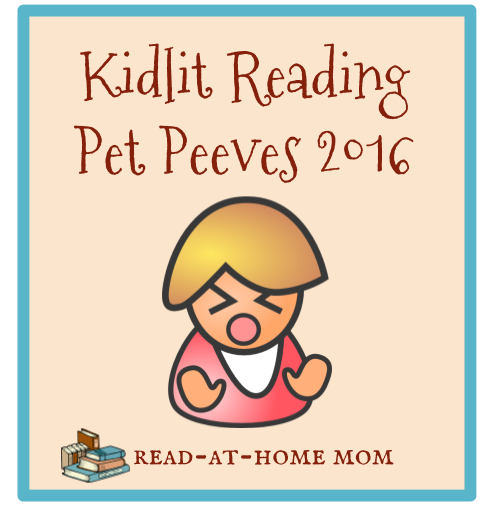 As I read your posts each month, I may also share them on my Facebook page or on Twitter @mrskatiefitz. 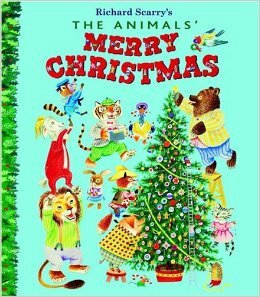 During the second week of Advent, we have continued with our Jesse tree (though we missed Wednesday, and had to double up yesterday), and we're still reading through The Animals' Merry Christmas. Here's what else we've been reading. 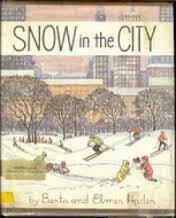 I took out the box of winter books because I needed a book for story time, and I wound up discovering this vintage book about snowstorms in New York City that I'd forgotten we owned. 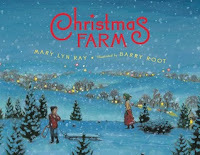 The book begins on Thanksgiving, and follows a family right through the Christmas season and into the new year. There's not much of a story, but it does give a good idea of what it is like to experience snow in an urban area. 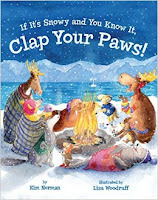 It also provides interesting contrast to another book by the Haders: The Big Snow, all about the impact of snow on woodland animals. Little Bo Peep is really into touch-and-feel books right now, so I pulled this one out of the winter box for her. She especially liked the page about the fuzzy mittens and once we reached that point, she didn't want to read any further because she was too busy feeling the mittens again and again. Grandma sent this book for the girls, and we read it a couple of times. The vintage-style illustrations are really eye-catching, and both Miss Muffet and Bo Peep seem to enjoying flipping through it. I loved reading The Polar Express aloud, though I think Miss Muffet will appreciate it more in a couple of years. 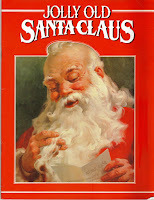 One Thousand Christmas Beards was probably my favorite, followed by Jolly Old Santa Claus, which was also a favorite when I was a kid. Bo Peep, of course, loved stroking Santa's bear in the Alphaprints board book. We have many religious Christmas books, and a lot of them are stories of the birth of Jesus, which I like to save for the twelve days of Christmas. But because this book is about the animals preparing for Jesus's arrival - and because we're going to a Living Nativity this weekend - I decided to read this one. Miss Muffet likes that it has so many different animals. I don't think Bo Peep was really listening. I had forgotten that I received a review copy of this book, and when I found it in a stack of books in the living room, I shared it with Miss Muffet right away. It's the story of two sisters who are excited to have their first real Christmas tree, but then discover that one of the girls is allergic to pine. When the real true is moved outside, they improvise to make a new indoor tree out of a ladder. I have liked the other books of this series very much, as they are emotional without being sentimental, and this book, though not quite as strong as the others, is a solid holiday story. Depending on how things shape up, I may include it in my Christmas story time this coming week. We put the tree up yesterday, and we'll be adding ornaments over the weekend. I was saving this book for when the tree was up, so I finally pulled it out this morning. I like the concept of the book better than its actual execution. Miss Muffet seemed to understand it better this year than last, and she actually requested to have the book to look at on her own. Interestingly, I keep thinking the illustrator of this book is Anita Lobel. 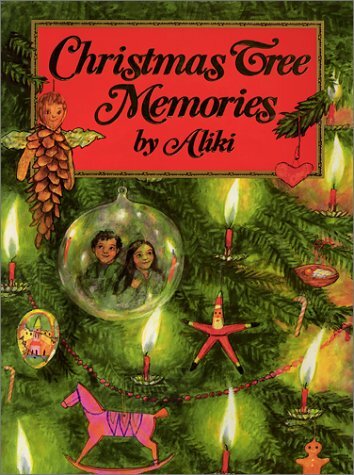 The people look a lot like Lobel's characters, and somehow the art in Aliki's other books seems a lot different from this one. Nate Twitchell is shocked when one of his family's hens lays an enormous egg unlike any he has seen before. Once the egg hatches, Nate becomes immediately attached to the creature inside it and becomes determined to care for it himself for as long as possible. When the government eventually gets involved, Nate continues to act in the best interest of his new friend, all while experiencing firsthand an amazing scientific experience. This book takes a completely implausible premise (hatching a dinosaur from a chicken egg) and makes it fully believable. At every stage of the growth of the hatchling, the characters react exactly as ordinary people would when faced with the same set of circumstances. They are surprised, skeptical, and scared, but they also rise to the challenge of their unique problem and begin looking for ways to keep the creature safe while also gaining any scientific insights they can. The tone of the story is just detached enough to make it feel like a scientific report, but also emotional enough to help the reader understand Nate's fondness for the dinosaur, and his difficulty in letting him go as he ages. Though the story sounds ridiculous, it repeatedly resists becoming so, and the entire matter of the enormous egg and its contents is resolved without its ever becoming laughable. The Enormous Egg reminds me a lot of the Henry Reed books by Keith Robertson, mostly because of the narrator's stubborn approach to caring for his egg, and because of the strongly masculine flavor of the writing and the story. 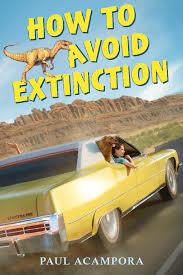 This would be a great family read-aloud, especially since dinosaurs tend to interest preschoolers as much as they do teens and adults, but it's also perfect for independent reading, especially for kids whose skills are advanced but who are not ready for the more mature content of some middle grade novels. It's a compelling story well told, and a new/old favorite for me. Last year, during Advent, I had an elaborate schedule for reading both secular and religious Christmas books, listening to hymns, and reading the Bible stories for the Jesse Tree. I didn't follow it that closely, and halfway through the season, I ended up abandoning most of my plans. This year, I decided to make things more manageable by scheduling only the Jesse tree readings. (I also switched from this set of ornaments, to this one.) 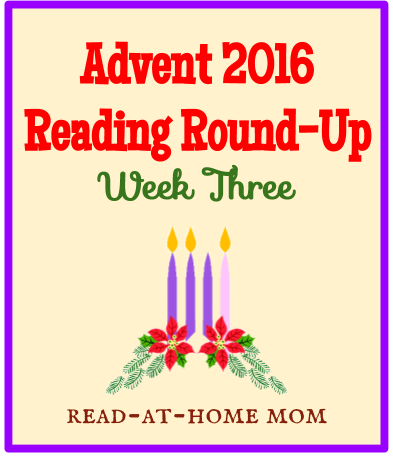 Beyond that, all I have done is pull a stack of Christmas and winter-themed books that suit my girls' current ages, from which we are reading one or two per day. 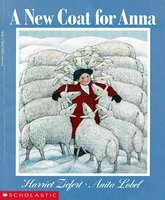 This story about a little girl who has to wait an entire year for a new winter coat is a good start to Advent, because it establishes that sense of anticipation, and it also shows how the kindness of a series of strangers contributes to Anna's eventual happiness when she receives her coat. In the end, Anna hosts a Christmas party for everyone who helped her mother to make the coat, and she even goes to thank the sheep who provided the wool. Miss Muffet was not old enough to appreciate this book last year, but she did seem to follow the story more closely this year. It is not Little Bo Peep's first Christmas, but she loves photographs of everyday objects, so I brought this book out for her anyway. She wouldn't let me tell her the names of most of the objects, as she really just likes to turn pages. Later, when she was not being carefully supervised, she tore into the spine of the book with her teeth and ate some of it. So... the most I can say about this book is that it looked delicious to her. We have this as an oversized board book, and both Miss Muffet and Bo Peep love it. I would probably call it the favorite of this week. 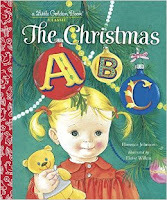 The rhyming text doesn't do a whole lot for me, as it's an alphabet book and there is no cohesive arc, but Eloise Wilkin has been a family favorite since I was a kid, and I do enjoy the illustrations. Bo Peep spent a good part of the week meowing at the book, which I don't fully understand, since there were no cats on the page that prompted her to do that, but she also seemed appropriately interested in Baby Jesus, so that's something. Last year, I tried to have a strict moratorium on Christmas songs and music until Christmas Day, and wound up barely singing or listening to any Christmas music at all. This year, I have decided to sing more of the traditional songs around the house so the girls have a better chance of learning them. I know it is in the spirit of Advent to build up anticipation, not to celebrate Christmas for a month before the day arrives, but for me, that anticipation is actually strengthened by the music. We played Christmas music all during December when I was a kid, and it just made me want Christmas to come that much more. So... 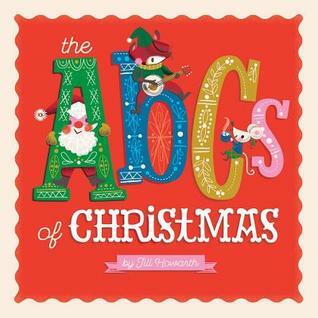 I took out this singable book and taught the girls to sing "Fa la la la la." Even Bo Peep chimed in! I took this out because I think I may use it for a story time about winter in January, and then decided to just sing it to the girls. Bo Peep like it, Miss Muffet was in the throes of a tantrum and chose to scream rather than listen. I have the book out for them to peruse on their own time, however, and both girls have spent time flipping through it. It's not my favorite, but it is a solid story time book, and it's a board book, so it's (relatively) safe for Bo Peep to handle. 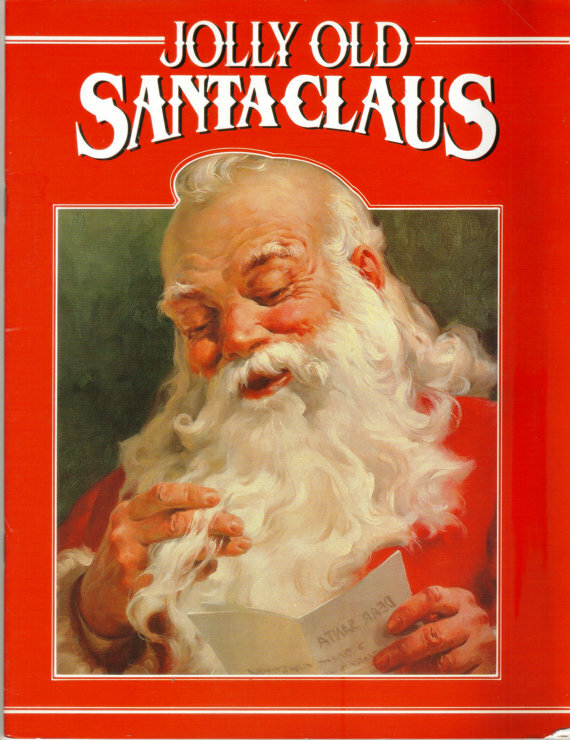 When this book first came out, my mom thought it might be about waiting for Santa Claus to come. It's not, but it is a book about anticipation, so of course it's a good Advent read! My mom gave me a copy of my own for last year, and I usually keep it in a cabinet where little hands can't rip the jacket and stain the pages, but for the sake of Advent, I pulled it out and we'll be reading it sometime today. Lastly, we are slowly reading our way through this collection, one story at a time. I counted last night and found out there are actually 18 total stories and poems in here, so we may need to step it up a little, since there are other collections I also want us to get to, but it's been nice to have a short two- or three-page story to read each night. Seven Quick Takes is hosted every week by This Ain't the Lyceum.